Assassin’s Creed Syndicate is finally coming to current-gen consoles this Friday, October 23, with the PC release to follow on November 19. We have watched plenty of gameplay footage thus far, that suggests that the latest iteration of the hugely successful franchise, runs and plays better than its predecessor. Assassin’s Creed Unity suffered from quite a few bugs upon its launch, causing performance issues on both consoles and PC. While many of the major problems were alleviated for the most part, fans of the series were turned off, something that Syndicate has to make up for, by providing a solid and immensely enticing experience from day one. Most that have experienced the game, have expressed satisfaction, and assured that the game plays smoothly without any of the major hiccups that plagued Unity. There have also been reports that Syndicate feels faster, more enjoyable and far more entertaining. 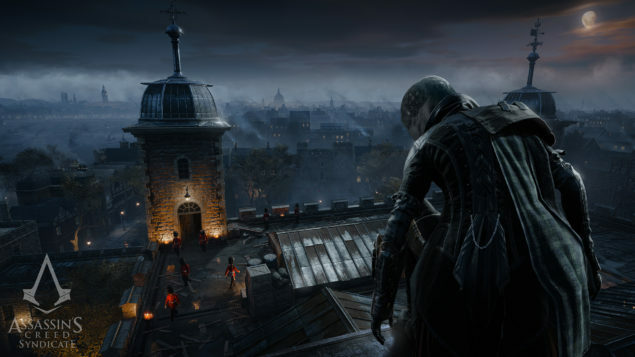 Eurogamer has made available the video of its live gameplay stream, featuring two hours of impressive gameplay footage, which for the most part remains spoiler free, as it avoids main missions. The footage demonstrates the immense size of the world, proving that the city of London is the perfect playground. As Creative Director Marc-Alexis Côté, explains, the city of London is the “Star of the Show”. Teeming with life, evolving technology and structurally expanding architecture it provides the perfect playground, offering immense scalability opportunities and unlimited traversing potential. Assassin’s Creed Syndicate releases for the PlaySation 4 and Xbox One on October 23 2015, with the PC release to follow on November 19.